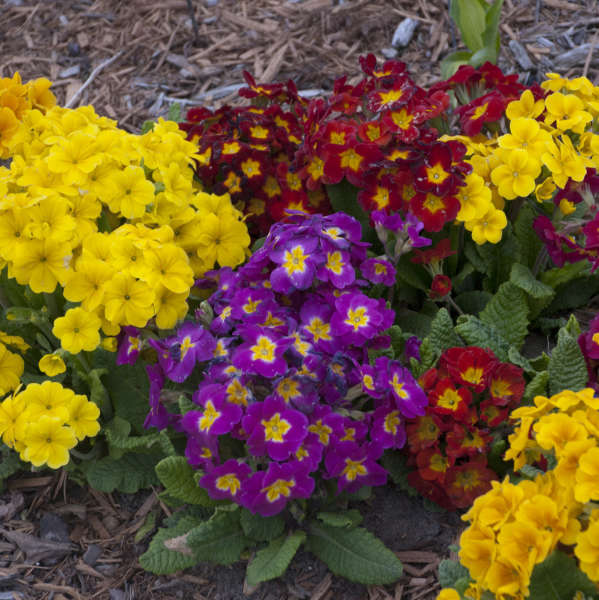 Primula 'Pacific Hybrids' | Walters Gardens, Inc. Highly praised for its large flower size and clear, vibrant colors. 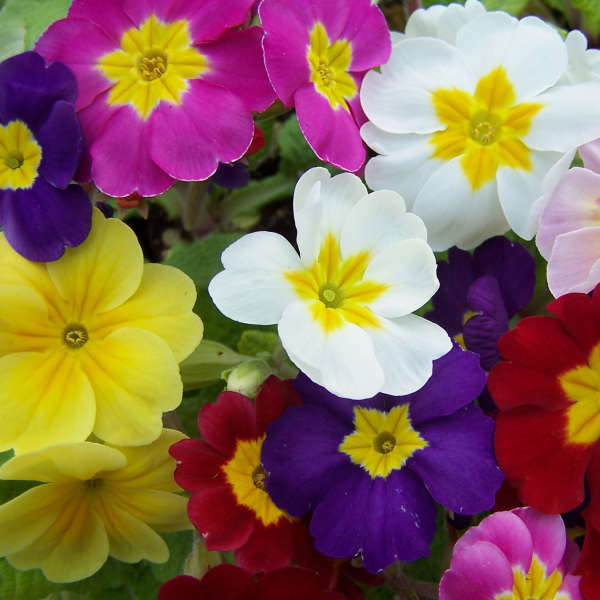 Flowers freely in a wide range of colors including yellow, maroon, lavender, white, pink, and blue-violet. Most have large eyes of contrasting colors. The 'Pacific Hybrids' put on a fantastic color show in early spring. 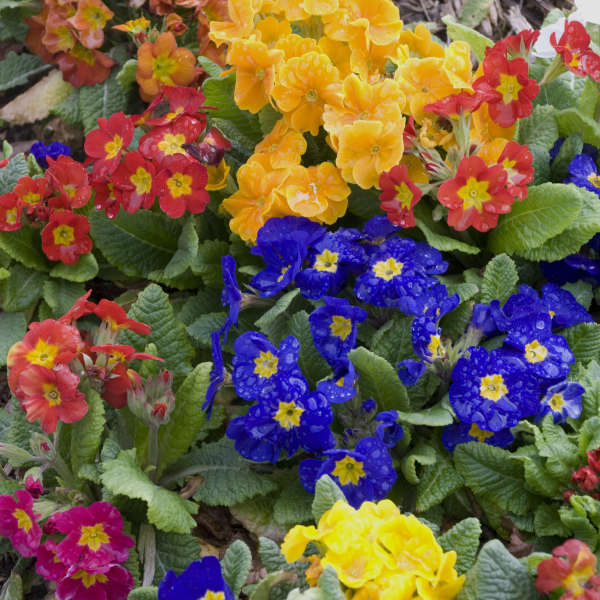 Primroses will produce dazzling flowers each spring if they are well-maintained. Ideally, they should be planted in boggy areas, perhaps near bodies of water, where their shallow roots will not dry out. 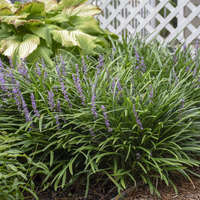 Plants will go dormant in hot, dry summer weather unless they are kept well-watered. 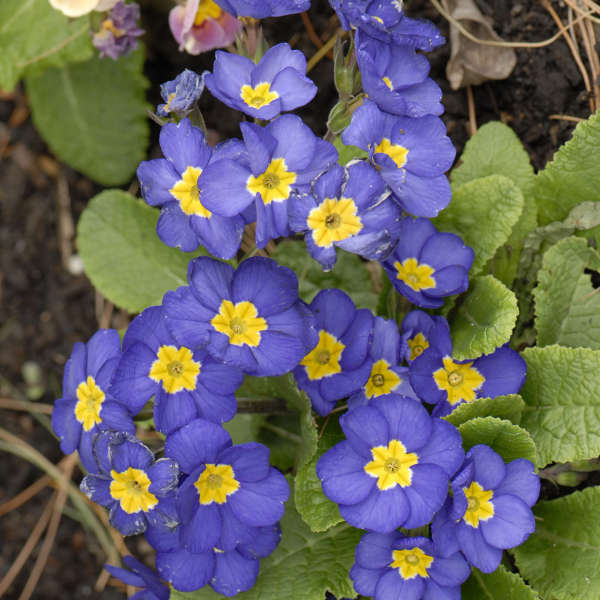 Though they are fully hardy in the North, primroses need protective insulation such as snow cover in the late winter months so they are not lost to late hard freezes. Feed moderatly at 100-150 ppm N at each watering. 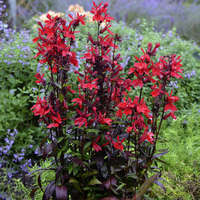 Provide 8-10 weeks of temperatures below 45 degrees F for best flower performance. Watch for mites, thrips, and aphids. 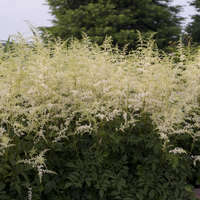 Plant in late summer to fall under warm temperature. Grow indoors so not to introduce cold nights until finished. Once bulked then vernalize. 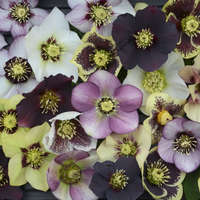 Plants will flower under cool temperatures as spring approaches. Keep plants warm until they reach desired size. Cool nights can cause premature flowering.